Are you ready to begin counting the Omer? You shall also count for yourselves from the day after the Sabbath, from the day when you brought in the sheaf of the wave offering; there shall be seven complete Sabbaths. You shall count fifty days to the day after the seventh Sabbath; then you shall present a new grain offering to the LORD (Leviticus 23:15-16). Speak to the sons of Israel and say to them, “When you enter the land which I am going to give to you and reap its harvest, then you shall bring in the sheaf of the first fruits of your harvest to the priest. He shall wave the sheaf before the LORD for you to be accepted; on the day after the sabbath the priest shall wave it” (Leviticus 23:10-11). You shall count seven weeks for yourself; you shall begin to count seven weeks from the time you begin to put the sickle to the standing grain. Then you shall celebrate the Feast of Weeks to the LORD your God …” (Deuteronomy 16:9-10). When the day of Pentecost had come, they were all together in one place (Acts 2:1). Though no specific date is mentioned, the command to wave the sheaf of the first fruits immediately follows the Passover. Traditionally, “the day after the Sabbath” has been understood to mean the Sabbath after the Passover. Historically, we know that the Children of Israel entered the Promised Land on the tenth day of the first month, then they ate the Passover on the fourteenth day, and “the day after the Passover, on that very day, they ate some of the produce of the land, unleavened cakes and parched grain” (Joshua 5:11). We also know that on the day after the Sabbath following the Passover, Yeshua was raised from the dead as the first fruits of the resurrection (Matthew 28:1-8, 1 Corinthians 15:20). 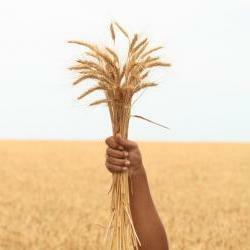 Shavuot, or Pentecost, recorded in the second chapter of Acts was fifty days after Yeshua’s resurrection. Traditional Judaism observes a “minor holiday” on the 33rd day of the count, lag b’omer. It is said to commemorate the end of a plague during the time of Rabbi Akiva in the second century, and it has a lot of Kabbalistic undertones. For the Messianic believer, let me suggest a much better interim date in the count. Yeshua’s resurrection was on the day of the waving of the omer, the wave sheaf. His ascension took place 40 days later (Acts 1:3), and during this time he appeared to more than 500 people, including his disciples (1 Corinthians 15:8). But apparently after his crucifixion, the disciples intended to just go back to doing what they were doing before, as if it was the end of everything they had anticipated (John 21:1-4). Yeshua had different plans, and took this 40-day period to prepare his disciples for their mission. A 40-day period of preparation is a pattern in Scripture. So as you count, look for God to prepare you for what is ahead. On that fortieth day, Yeshua brought them all together and gave them a promise. He promised them they would receive supernatural power from the Ruach HaKodesh (Holy Spirit) to be his witnesses. Then, as he was departing, the Father also gave them another promise – Yeshua would return. Remember this as you reach the 40th day of your count. Ten days later, after they “were continually devoting themselves to prayer” (Acts 1:14), the promised power of the Ruach HaKodesh came. When the day of Pentecost had come, they were all together in one place. And suddenly there came from heaven a noise like a violent rushing wind, and it filled the whole house where they were sitting. And there appeared to them tongues as of fire distributing themselves, and they rested on each one of them. And they were all filled with the Holy Spirit and began to speak with other tongues, as the Spirit was giving them utterance (Acts 2:1-4). We are now anticipating the fulfillment of the second promise, the return and reign of our Messiah, Yeshua! We count 50 days, beginning with the day of the wave sheaf – the offering of the first fruits, the day of the resurrection of Messiah Yeshua. We count up, not count down, to the fiftieth day. We end on the fiftieth day, the day of the Feast of Weeks, Shavuot (Pentecost). 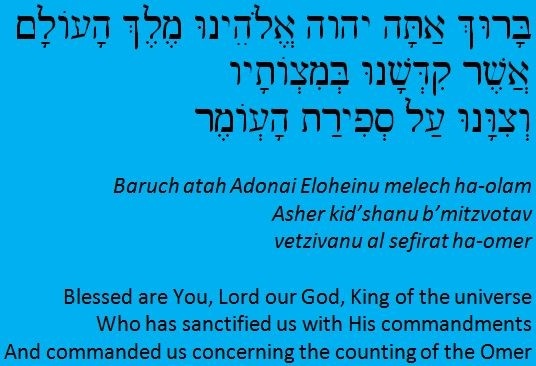 Three times in the two passages from the Torah we read the command “you shall count.” The Hebrew word used is ספר saphar, simply meaning to count or number. It is important not just to recognize when the fiftieth day has arrived, but to count each day until it does. This builds the anticipation for the next celebration. Who has sanctified us with His commandments and commanded us to count the Omer. Then, the day is “counted” by stating “Today is ___ days of the Omer,” and if it has been more than one week, adding “which is ___ weeks and ___ days.” This is tradition; how you do it is not important, but doing it is. I will highly recommend the Prayer Book and Life Cycle Guide for Messianic Believers in Yeshua that I reviewed here. This excellent Siddur has a complete section on Counting the Omer, which includes the count for each day in Hebrew, transliterated Hebrew, and English. Along with the daily count is a passage of Scripture and a prayer/meditation. There is a separate entry for each of the fifty days. 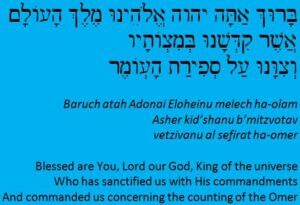 You can count with me at https://CountingTheOmer.us or follow me at The Messianic Light on Facebook. Want to write your own blog? Click here. Are Yahweh and Allah the Same God? Sabbath – First of the Feasts? These are all items I have and use. Links will open in a new tab at Amazon. Here is my affiliate disclosure.